Melbourne is going through a burger renaissance, and expanding burger franchise Grill’d has made its name in making healthy burgers, with fresh ingredients. 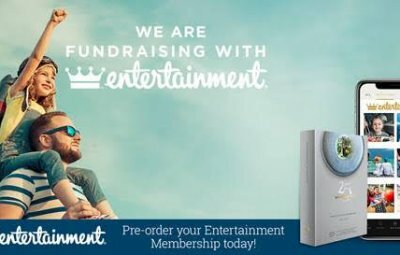 Many Rooms has partnered up with the various Melbourne Grill’d outlets, with Many Rooms featuring during August on their local matters token jars throughout Melbourne. 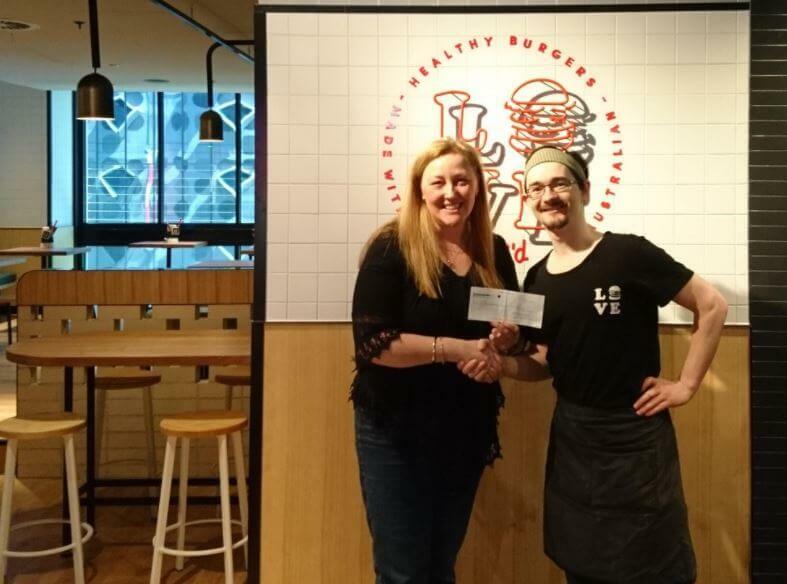 Grill’d certainly live up to their ‘do good’ slogan, not only we were part of their ‘Local Matters’ campaign throughout August 2017, but participants at the Saturday Kitchen also got to taste their burgers for themselves. Melbourne Centrals’ Grill’d Manager, Glenn Bailie and some of his staff joined our Team 4 lunch time crew to cook and serve up Grill’d burgers with fries on the last Saturday in August. The Many Rooms Grill’d Burger made its’ debut. 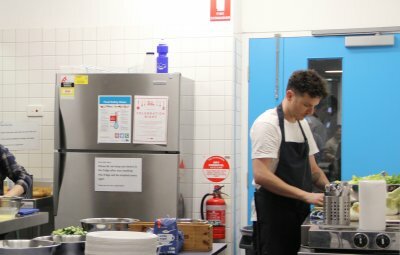 A huge thank you to Grill’d who have been so supportive of Many Rooms, donating burgers and buns as well as practically letting their actions speak louder than words! Since then, other Grill’d outlets have got involved and fed our participants a few more times – we’re thankful for our supporters and look forward to working together again.